Yesterday I saw this inspiring design and had to stop and research it futher. 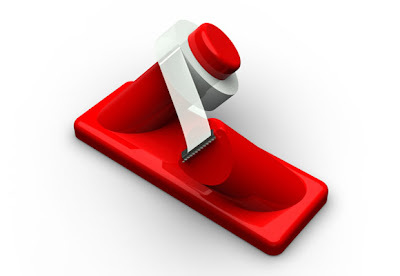 It is a concept for a new approach to the standard tape dispenser and it is a beauty. I would give this functional sculpture a prominent place on my desk top! 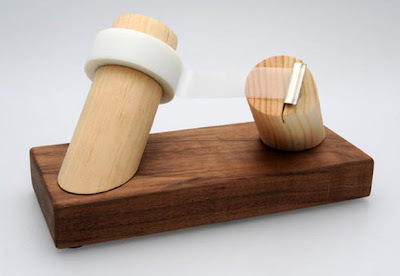 These are designed by Matt Pacione, a Canadian industrial designer and recent design school graduate. I love the twist and angle. Matt won a 3M design contest back in 2009 and this dispenser was to be produced. I haven't found it anywhere. Anyone know where to get one?